PLEASE SCROLL DOWN FOR YOUR RETAILERS' PURCHASE LINKS. 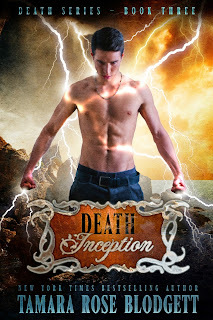 Almost fifteen-year-old Caleb Hart is a Cadaver-Manipulator in the year 2025. When teens receive a government-sanctioned pharmaceutical cocktail during school, paranormal abilities begin manifesting... making the teens more powerful than the adults. 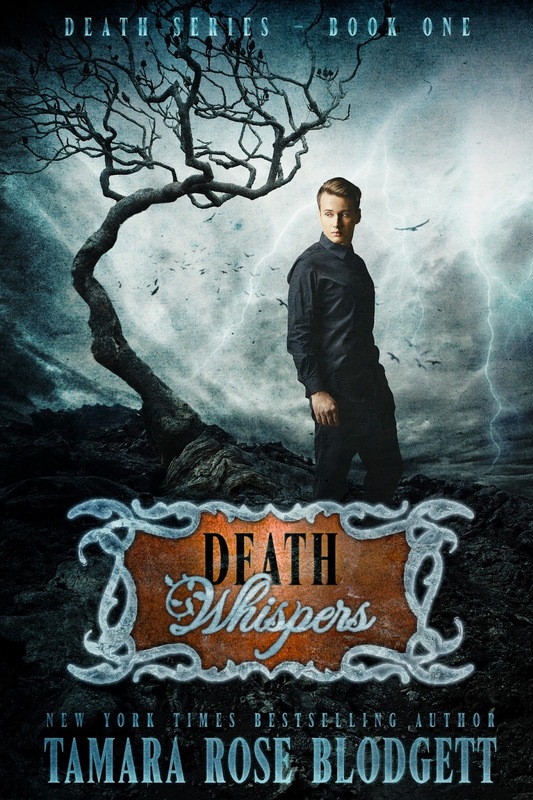 After Caleb discovers he has the rare, Affinity for the Dead, he must do whatever it takes to hide it from a super-secret government agency whose goal is exploitation. Caleb seeks refuge in his new girlfriend, Jade, until he realizes that she needs as much protection from her family, as he does from the government. Suddenly, Caleb finds that hiding his ability while protecting Jade and his friends is a full time job; can he escape the government, protect Jade and lose the bullies that are making him miserable? Caleb's in high school now and thinks the chaos of last year is behind him. Unfortunately, a serial killer is on the loose and children are his victims. 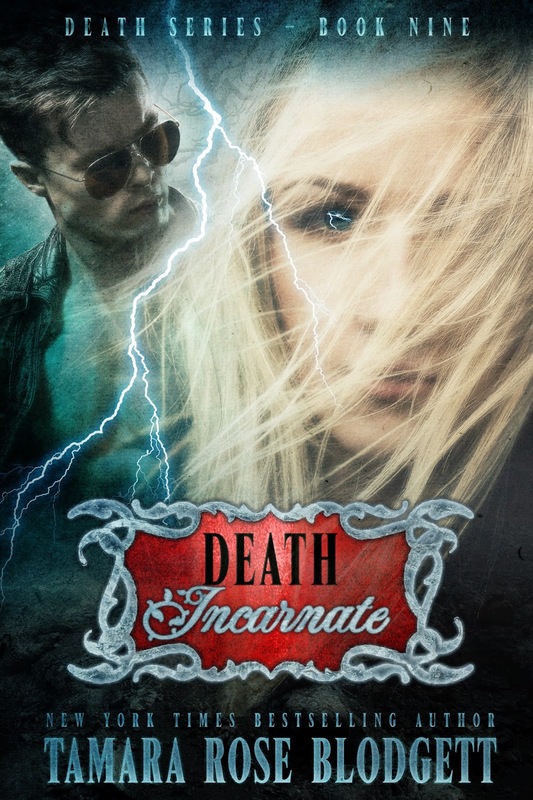 Caleb agrees to help the police apprehend the murderer...until the killer takes notice of Caleb and his paranormal friends. The Government Graysheets continue to keep tabs on Caleb's every move while Jade's family threatens their relationship. Can they still be together even when events threaten to tear them apart? Kyle Ulysses Hart and his team of scientists mapped the human genome in the year 2010. As Brain Impulse Technology came online... so did the long arm of the United States government. A covert, military-driven regime was born with genetic manipulation the key to future widespread control. When pharmaceutical laboratories, funded by the Graysheets, discover a way to unlock paranormal potential through compulsive inoculation, their exploitative dream is realized. 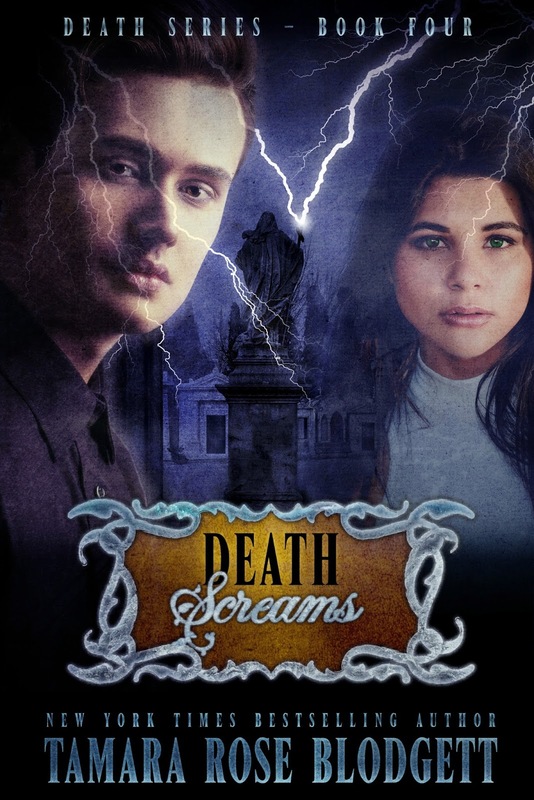 A lone teenager named Jeffrey Parker, falls prey when he manifests the rare, Affinity for the Dead.The Graysheets abandon all pretense of stewardship, ripping him from his family for their nefarious purposes. 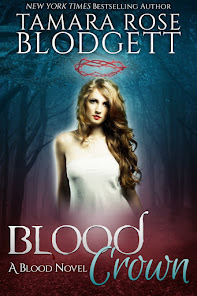 Caleb's second year of high school starts off without a hitch until Jade touches the wrong clairvoyance sample that foretells a murder in her future. Will she remain safe even while assisting police officers Garcia and Gale in a race to prevent a cataclysmic death? Sophie and Jonesy aren't seeing things eye to eye, but when her safety is threatened by an attacker targeting Astral-Projection girls, they put their differences aside. The FDA approved depressant has begun to be administered to the teens for suppression of paranormal abilities during sleep for safety reasons. Or so they've been told. Carson and Brett have escalated the violence that they perpetrate and leave Caleb no choice but to reciprocate. After saving the newest member of their group from certain abuse, Caleb knows the bull's-eye is dead center on him. Again. Does Caleb use the undead as a weapon of defense while his group hangs in the balance of imminent peril? Life gets complicated for everyone when the scientists responsible for the paranormal manifestation threaten a parellel world to Caleb's own. In a bid to stop the destruction of their world, while saving his own, Caleb must defend two peoples against the long arm of the Graysheets. Time begins to run against him when he discovers through an unlikely source that his friends have been given a drug that causes progressive insanity. Can he find the antidote in time to save them? The Graysheets remain ominously quiet during the teen's senior year. When tragedy strikes Tiff, her confidence shatters into a million pieces and the group doesn't know how to pick up the scattered mess of her emotional health. As the control of the Zondorae scientists slips away, they make a final move to swing the balance in their favor, negotiating a future for the paranormals that is so final, a covert group moves to halt the momentum of their control over humanity with Jeffrey Parker as the catalyst. In a final bid to protect everyone, Caleb discovers he was at the center from the beginning, an unwilling pawn moved on a chess board that no longer exists. Will he have a future of safety and happiness for himself and Jade? Or will the decisions made before the fateful day of inoculation remain to hinder that forever? 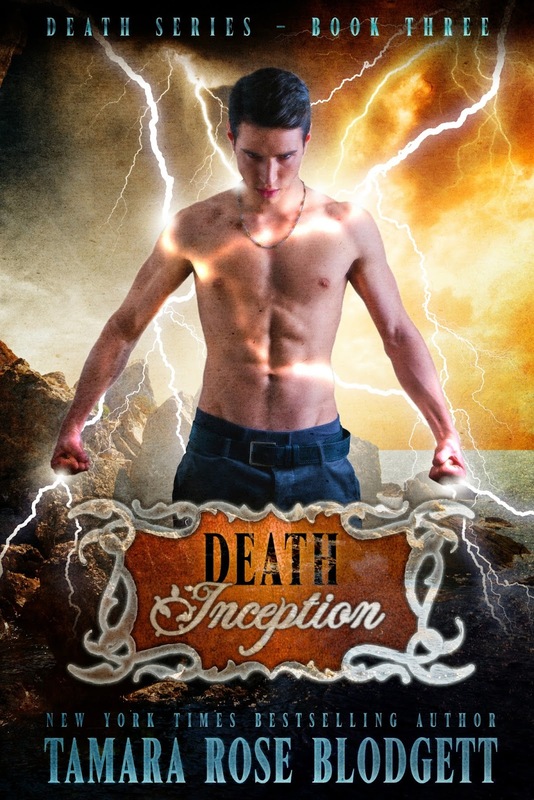 This Death short story takes place within the timeline of Death book #6, Unrequited Death. It chronicles the inception of John Terran and Tiff Weller's romance (an outtake). The year is 2049 and in the new dystopian order, the Randoms have risen to the top. Because of the Helix Complex and their illicit use of mass sterilization, Earth faces dire consequences. The virulent Zondorae concoction of 2030 made many who could have children into mules. 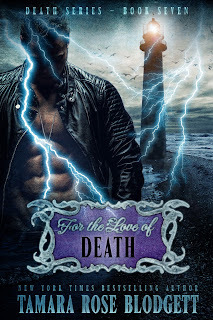 Now middle-aged, Death's children do their best in a world where technology and paranormal powers collide in a mix of tragedy and circumstance. Those in power have raised zombies for the slave trade. Paxton and Deegan Hart are grown and on the radar for those that understand how critical they are for future exploit. The tight-knit circle of friends are forced to network for solutions to the depravity that has taken hold. Can the original group protect a new talent, so dangerous it shouldn't exist? Will the new generation of Randoms find a solution for propagation, or will their power base cannibalize those who choose harmony over greed? "... They say men don't cry. They just don't say what's happening inside a man when he doesn't. Where do those unshed tears go....?" When Deegan and her zombie, Mitchell, become separated from Paxton during a recent blink, they find themselves in a world where soldiers have a form of blinking they call Reflecting. 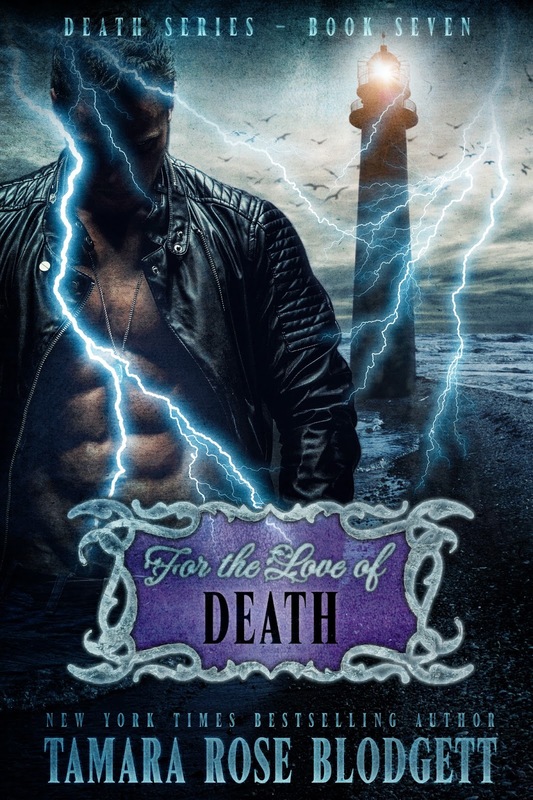 Deegan just wants to find her family and return to their earth before the Reflectives can punish her for an ability she can't help having--and doesn't want. As the group finds one another, a new reality of fertility and danger rears its head. Do the women stay where they can conceive children who are so rare and risk their lives? Or do they return to an earth where certain persecution awaits them, and a lifetime of barrenness? Deegan Hart's very existence hangs in the balance. Her zombie from a world where Cyborg's roam, is about to make a decision that could erase her from not just her home earth - but all earths. Does Mitchell interfere with fate and save the lives of his brother or sister? Or does destiny have different plans. In the aftermath of a pivotal blink, a reordered future unfolds, and the original group of paranormals are needed to right a wrong. But at what cost? Is a new government order intent on ripping Deegan away from her family for their own purposes - or worse - will Brad Thompson find a way to see his evil plans of an Atomic super race to fruition? With Deegan Hart as the catalyst. Can't wait for Death Speaks! It's been great to write...and the mystery element...let's just say, not going to be easy to figure out! :D TY! I like the cover for Death Speaks. Does Death Screams really come out in a year or is it a typo? Will there be more than 5 books in the series? "Death Screams" expected release is the January/February 2012 time frame (Available for purchase in about three months). Book 4, "Death Weeps," will publish sometime in 2012. I fell in love with Death Whispers! Im not usually a "zombie" reader but this was different and new. My family are big readers and I've highly recommended your books tp them! Now I am searching for book two. 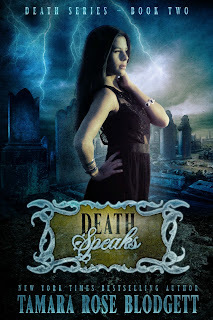 I read the first on my nook, but I havent been able to find Death Speaks. I look forward to finding it and reading all your work! I used to write little stories as a teen and you have inspired me to take it up again! Thanks, Jenn. You can reach me at: tamararoseblodgett(at)hotmail(dot)com. 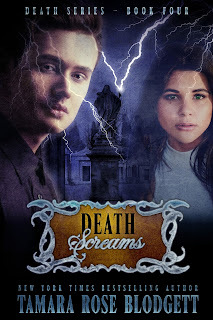 I just found your death series, on Nook. When will your other books be available for me to get on my Nook? Thanks for the information. Hi and thanks for writing. 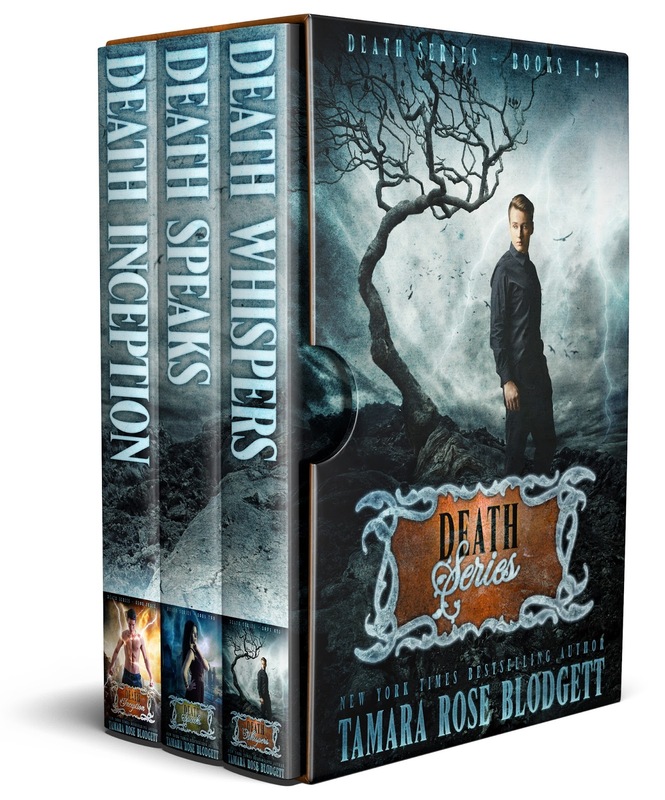 The Death Series will be available again for NOOK on November 13. Thank you for replying! I found the paper version on amazon and cant wait for it to be delivered on wednesday! I already got book 3 for my nook and I'm having a hard time not reading it lol! I really appreciate your nice offer. It will be easier to get my hubby to read the paper version since I hog the nook anyway! Thanks for the encouragement!! I'll be sure to let you know how they like your series too! 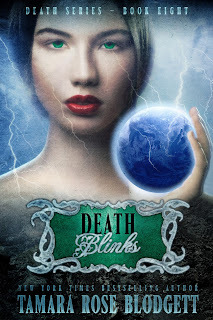 Here it is October 10, 2012 and I can't find Death Speaks on the Nook. 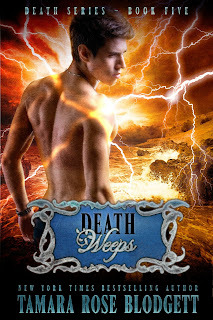 Real frustration, I really liked Death Whispers and want to continue reading the series. The only thing I can find on the B&N site is the paperback for $20 which is a bit much for my pocket. I do my best to read a series in order of publication. And thanks for taking the time to write. I am currently on the Amazon Select program until November 7 (it requires exclusivity). 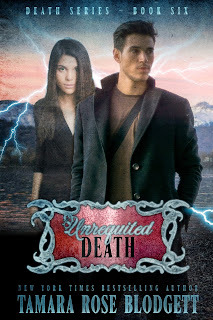 At that time, the Death Series will be available in its entirety on NOOK and through other retailers. Please feel free to contact me directly to expedite your purchase: tamararoseblodgett(at)hotmail(dot)com. Thank you for your timely response Tamara, I am in the midst of several series books. I will impatiently wait for November 7th. I read the Savage Pearl series (what is available) and enjoyed it a great deal as well. Thought I recognized some characters (Travelers) so I picked up Death Whispers. You thought right! The Travelers (the young group) will be referenced in PROTECTOR (#4) but I have no plans to "marry" the series' again. Look for my cover reveal of THE SAVAGE PROTECTOR, along with the blurb tomorrow. Hey, just letting you know that your deaths series 1-3 pack has bad font colouring. Im running the droid kindle app and nightmode has black font on a black background. Downloaded the pack about 30 minutes ago. Hi and thanks for downloading the Death bundle! I found your Savage series on Kindle, read through it in three days (being sick does have advantages), and I had to have your other books! I am loving the Death Series and ****SPOILERS**** how I know these teens from the other world. Your characters are so engaging! Hi and thanks so much for your feedback! Readers are really enjoying the bundles as they allow a reader to get a real "feel" for the series as a body of work :) That's great news that you like the teens! They grow on ya, eh? lol. Thanks for supporting my work! I am addicted to your Death series! I read the first three in the last week! Lets just say between work and my two year old, there have been a lot of sleep deprived nights just so I could get my reading fix in ;) I'm off to buy book 4 now. Thank you so much for sharing your amazing books with us! Hey Brandy and thanks so much for your comment! I remember reading saved my sanity when my boys were little :) (it still does! lol) You're welcome but it's readers like you that I'm thankful for. Hi, your Death Series was just amazing. I read it twice now and could see myself reading it over and over. I felt like I was an outsider looking in but included in every way. It was sad to read the last book because i wanted more. Is there a way to find out what happed to the rest of the gang. As wierd as it sounds i would like to know what happened to my friends. lol. P.S i do have a normal life, just like to escape it every once in a while!! I really hope you do a spin off of death! Will you touch base with the main characters of Death to let us know what happened to them! I just finished the series and I am in love with it! It was amazing! Please keep us updated on the spin off! Yay, I can't wait! I will definitely keep my eyes open for it! Also, thank you for writing back! I think it is awesome you take time out to respond to everyone. We ask so much of you, but you still take the time out of your day to make sure everyones questions and comments are answered. Thank you! 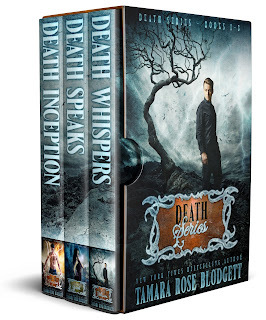 Hi I picked up your death series bundle 1-3 on Amazon.uk really enjoyed myself and would like to complete the set. Just wondering if your going to put books 4-6 into a bundle? OK thanks for getting back to me so quickly. I will be honest I now hope loads of people now write in to ask :-) I prefer omnibus editions of ebooks as I have over 100 books on my kindle app yet no way to place in series order. Anyway keep up the good work and I look forward to reading more books from you. Hello, I just stumpled across your books... got books nr. 1-3 free from Amazon and from the first page i was drawn in. The series doesn't have a wiki do they? I'm sometimes confused how this pulse is supposed to work... like a microchip in the brain? I was just wondering if your last three books to this series is going to go onto the Kobo e-Reader? I have the first three and have enjoyed them immensely and would love to reader the last books on my e-Reader. I do not own a Kindle e-Reader nor do I plan on purchasing one just so I can read these books. Please make them available for the Kobo e-Reader. I have nothing but praise for this superb writer. The way she nails all the nuances within each character just blows me away. Normally when I read a book I think to myself that your average joe blogs wouldn't react like that but Tamara Rose Blodgett hits the nail on the head with each reaction even with the dog's point of view. I had downloaded the first 3 books on Kindle for free as a box set and left them in my carousel for a few months but once I started reading them I was hooked, I read all 7 books in 7 days. My only negative for this series is that I now have to wait a whole year to find out what happens next. So, my son and I share our Barnes & Noble Nook account. He asked for these books back when he was in a Middle School and he ate through them quickly. He would always talk to me about them; but, I would tell him, "No spoilers!" I intended to one day pick them up to read, too. So, I finally picked them up and breezed my way through books 1-6 in less than 2 weeks, in between my work and sleep schedule. I was feeling empty when I finished Unrequited Death, knowing I must wait until January for Dean Koontz's new Odd Thomas book. I searched the Tamara Rose Blodgett's name, found this message board, and found that there is a book 7 and I can't wait to buy it! Thank you for this series. It helps a parent understand "teen-boy speak," gives mom and son something to talk about, (we both get 'crooked mouth' ALL the time!) and now the race is on to see who can finish book 7 first! And double thank you for Onyx. I love it when authors give animals significant rolls. Dog is good dog. Finally, after we finish book 7, we will likely start exploring this author's other titles. I really appreciate you taking time out to write me with your thoughts. DEATH was originally written to placate my sons who didn't feel like there was enough teen boy literature that "sounded" authentic. It pleases me to no end that your son enjoyed it. Koontz and Stephen King were big influences on my writing. I'm primarily a dark fiction writer but love a bit of sci-fi in the mix. Thanks for looking me up! Death 1-6 is a complete set. Death #7 moves in a new an exciting direction and is more of a spin-off book that continues Death in the future. Beloved former characters and a set of new ones come to life in Death #7. There will be two more books to follow 7. We've always had dogs and for me, it wasn't too much of a stretch to "hear" Onyx. I knew that if a dog could think, he would be like him. Please contact me for purchase of FtLoD. Currently, my TRB catalog is exclusive to Amazon. I really enjoyed the death series.... I am unable to find out when the 8th and 9th book will be out...any hint ? 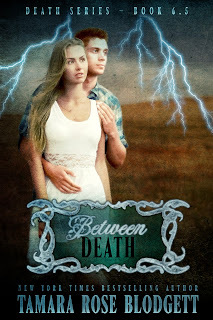 Hey Could You Make Between Death Available In Canada On Kindle? Hi Jose and thanks for reaching out and reading Death! Literally dying waiting for book #9. Lol. Love the series. Couldn't put it down. 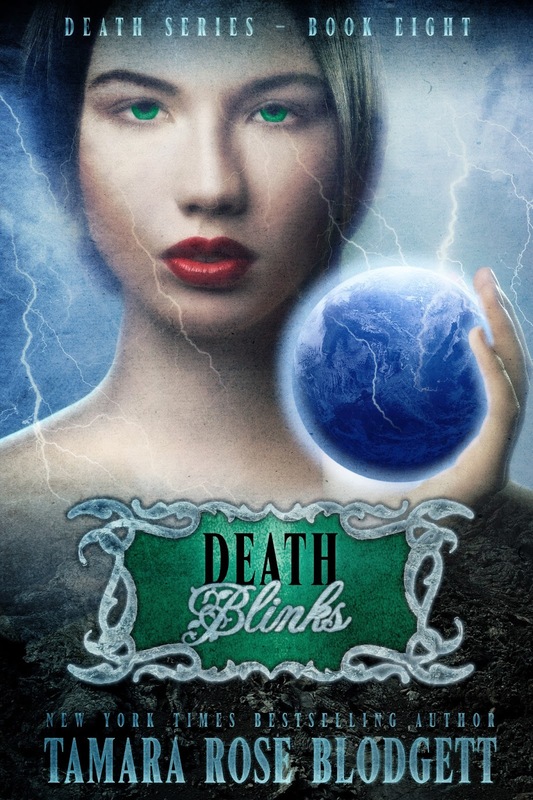 HI Gloiristk and thanks so much for reading Death and your excellent feedback! Where can I buy the hard copies of these books, they're amazing and i just can't stop reading them. If you click on the product page, it will give you the option for a one-click for Kindle or Paperback. The "buttons" are side-by-side.